The Non-governmental Gender Organisations’ Coordinating Council (NGOCC) is an umbrella network for Non-Governmental and Community Based Organisations in Zambia active in championing women’s empowerment and gender equity and equality. 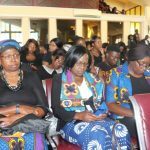 In over 30 years of its existence, NGOCC has grown to be the focal point of the women’s movement in Zambia, with a total membership of 98 as at the end of 2017, spread in all the 10 provinces of Zambia and covering 58 districts. In line with its mandate, NGOCC coordinates its MOs through five-year strategic plans which articulate priorities for the period as endorsed by its affiliate MOs. The NGOCC Strategic Plan 2018-2022 therefore forms the basis of all organisational strategic interventions for the next period in its quest to contribute to the global undertaking of the gender agenda which is anchored on the human rights approach. This Strategic Plan was informed by a number of gender instruments, national priorities and programs that would contribute to the development discourse of the country. The Plan has been formulated on the Theory of Change Model and is well anchored on NGOCC’s envisaged change of gender equality and women’s empowerment in Zambia by 2022. This Model will therefore work as a blueprint that will inform NGOCC’s change strategies to bring about the desired results in as far as addressing gender inequalities between women and men is concerned. NGOCC remains committed to continue building on the gains of the past years in making the organisation more vibrant and relevant to the Zambian society. The Strategic Plan highlights the general overview of the gender context including key gender issues and their related success measures for the strategic period. Specifically, the formulation process also took into account the external environmental gender context with regard to political, economic, legal, social and technological implications. The Plan also outlines its key stakeholders, opportunities, threats and risks that may negatively impact on NGOCC’s operating environment during the strategic period. It goes on to articulate mitigation measures and the implementation mechanisms and related institutional provisions and supporting human resource structure to ensure its success. Throughout the Strategic Plan implementation, the legal and policy framework will inform NGOCC’s lobby and advocacy interventions. HIV and AIDS, disability and Gender Based Violence will be mainstreamed as cross cutting issues. Increased productivity and income levels among women and girls in NGOCC operational areas. A well-positioned organization carrying out its mandate for efficient and effective operations and coordination of MOs. NGOCC remains committed to championing its mandate. The Strategic Plan will be used as a basis of financial and technical agreements for institutional and program support from cooperating partners including ongoing monitoring and evaluation mechanisms. The gender agenda is a global undertaking anchored on the human rights approach and has been well articulated in various human rights instruments including the overarching 1948 Universal Declaration of Human Rights (UDHR). Since then global leaders have continued to publicly declare their commitment to advancing gender equality and women’s empowerment as a tool for sustainable development. These declarations have included the UN Convention on the Elimination of all Forms of Discrimination against Women (CEDAW) adopted in 1979, the Beijing Declaration and Platform for Action (BDPfA) in 1985, the Millennium Development Goals (MDGs), to the recently adopted more focused Sustainable Development Goals (SDGs). The SDGs have a gender dimension mainstreamed in all seventeen (17) goals and a specific fifth goal on Gender Equality. This broad commitment at global level forms the basis for the Non-governmental Gender Organisations’ Coordinating Council (NGOCC) continued strategy design. At continental level, NGOCC’s mandate has been informed by the provisions of the African Union Charter on Human and People’s Rights on the Rights of Women, the AU Decade for Women 2010-2020. Further, the AU Agenda 2063 including the four AU Pillars of Employment and Entrepreneurship; Education and Skills Development; Health and Wellbeing; Rights, Governance and Youth Empowerment. The pillars are designed to ensure that as part of the Agenda 2063, African citizens, female and male are empowered to realize their full potential. In addition to the above, NGOCC has also been further guided in formulating priorities of its interventions over the coming years by the provisions of the Southern Africa Development Committee (SADC) Protocol on Gender of 2008, Zambia’s revised National Gender Policy of 2014, the Gender Equity and Equality Act of 2015 and the 2017-2021 Seventh National Development Plan (7NDP). Within this global, continental and national context of gender and development, NGOCC as an umbrella network organisation, was born out of the realization that the empowerment of women in Zambia needed concerted efforts. Its formation by a few women NGOs was an outcome of the United Nations Conference on women that was held in Nairobi, Kenya in 1985. Since then, NGOCC has grown to a membership of 98 organisations spread in all the ten provinces of Zambia. NGOCC has continued its coordinating role and strengthening its member organisations to enhance their relevance and effectiveness in championing gender equity and equality. In its over 30 years of existence, NGOCC has attained a strategic positioning as the focal point of the women’s movement in Zambia and is poised to utilize this comparative advantage to continue as the voice for women’s empowerment in addressing the gender agenda. Over the years, the organisation was mistaken to be the umbrella body for all non-governmental organisations in Zambia. 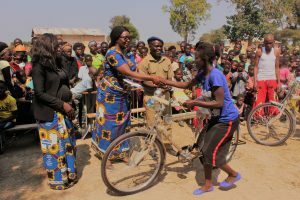 This gave rise to a change in the organisation’s name in order to bring in more clarity on its role as well as its mandate of promoting women’s empowerment and gender equality in Zambia. Hence the adoption of “Non-governmental Gender Organisations’ Coordinating Council” from the previous “Non-Governmental Organisations’ Coordinating Council”. However the acronym “NGOCC” has been maintained given its wide association with the organisation as the focal point of the women’s movement. Equity: NGOCC advocates for fair and impartial opportunities for women and men. All services rendered by the organization will pay particular attention to gender and especially the special needs of women and girls. Equality: NGOCC is a champion of a state of being equal in status, rights an opportunities for women and men. The organisation is committed to ensuring that in its operations and relationships with stakeholders, there will be no dominance of one gender over the other. Activism: NGOCC is focused on implementing actions and programs that bring about social justice and overall societal change. NGOCC endeavours to be proactive and militant in its approach towards the empowerment of women. Team work: NGOCC is committed to nurturing collective efforts and group cohesion for efficiency and effectiveness. The organisation endeavours to work as a team to achieve its goals. Volunteerism: NGOCC works to cultivate the spirit of community involvement and contribution in its services. The organisation is focused on member-centred approaches in order to sustain its development work. Integrity: NGOCC is committed to promoting honest and strong moral principles at all levels. Professionalism: NGOCC endeavours to bring on board and retain relevant competencies or skills in its operations and service delivery. The organisation carries out its mandate with commitment to high levels of professionalism in its operations. Commitment: NGOCC is dedicated to its core mandate of women’s empowerment and gender equality in all its undertakings. Transparency and Accountability: NGOCC is responsible for its actions and will stand to justify them in an open manner. Being a learning Organisation NGOCC believes in growing every day and adapting to new ideas, concepts and approaches to addressing gender and development issues.